The second edition of Indian Super League is knocking at the door. During the last edition we saw some of the biggest names of world football. Along with some of the greatest footballers in the world, we also witnessed some top level football managers. Last year saw coaches like Antonio Lopez Habas, Zico, Marco Materazzi, and Ricki Herbert, come to Indian shores while this year we are going to see big names such as David Platt, Peter Taylor and Roberto Carlos. Other than ISL, we have witnessed many good quality foreign coaches in the I-League, such as, Ashley Westwood, Trevor Morgan, Karim Bencherifa, and Oscar Bruzon. However, India has not always been kind to foreign coaches, specially for the national team. 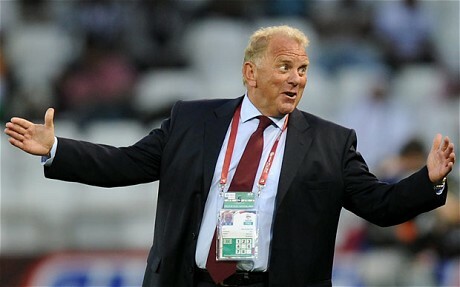 Indian counterparts never quite liked the idea of a foreign coach at the helm of national football team. The debate is old and may continue for several more years until something conclusive happens in terms of success for the national team. Let’s have a recap on foreign coaches for the Indian national team and how well have they performed. The first foreign coach of the India national team was Harry Wright of England, who succeeded Rahim Sahib in 1963. 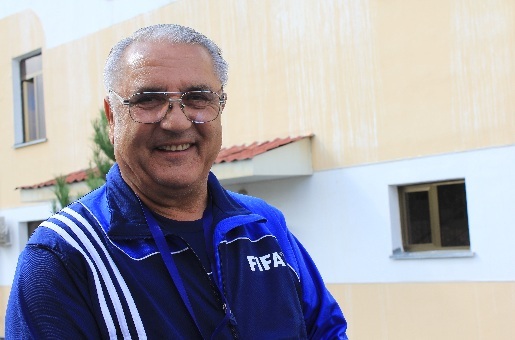 He was in charge of national team in for the 1964 AFC Asian Cup held in Israel. In that tournament, India came second after Israel, following wins over Hong Kong and South Korea. 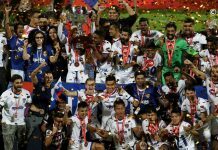 Till date this is the most notable triumph in professional football by the Indian national team as other success came from Olympic or Asian games which have always been considered as proletarian tournament. But the team inherited by Harry Wright was nurtured and assembled by Rahim Sahib and was already a giant in Asia. So there was no significant instillation from Harry Wright. Afterwards Dietmar Pfiefer from Germany and Bob Bootland from England came, but for short spells and nothing significant happened during their tenures. Milovan Ciric was one of the most high profile foreign coaches ever to have worked with the Indian team. 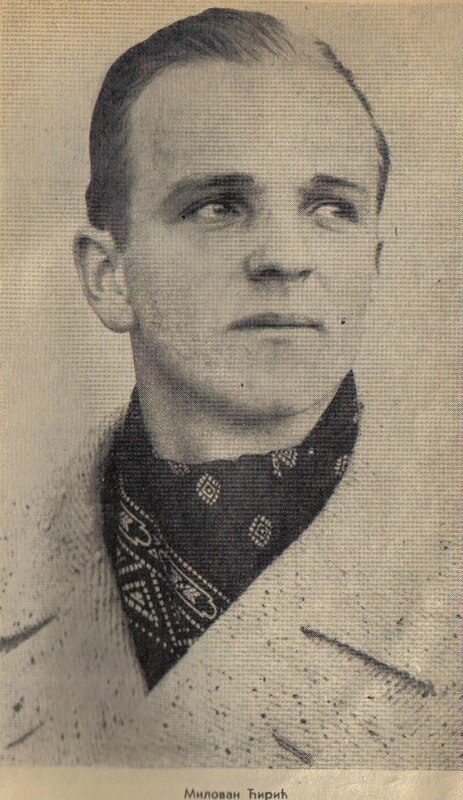 He was from Serbia, then a part of Yugoslavia, and played for Red Star Belgrade and FK Partizan. Before coming to India he managed prestigious football teams like Besiktas, Valencia, Lazio and the Yugoslavia national team. His arrival in 1984 was crucial for Indian football, as legends like Subhas Bhowmik, Shyam Thapa, Surajit Sengupta, Habib, Sudhir Karmakar were hanging up their boots and domestic football was losing its popularity to cricket. He quickly assembled a team with mostly young stars like Krishanu Dey, Sudip Chatterjee, Atanu Bhattacharya, Biswajit Bhattyacharya, Shabbir Ali, Derrick Pereira, Mauricio Alphonso, Pem Dorji, Brahmanand Sankhwalkar, Bikash Panji and Parminder Singh. Under his coaching India may not have won anything significant but played good football against top class opponents. During his tenure India qualified for the main rounds of the Asian Cup via standard qualifiers. In the Asian Cup, India finished at the bottom of Group B, with losses against China, UAE and Singapore. However, India did manage a point with a goalless draw against Iran. Under Milovan, the most notable win was against Algeria’s World Cup squad in Beijing in a friendly. Everyone still remembers the Indian team’s performance during the Nehru Cup under Milovan. Playing against strong teams like Poland and Argentina, India held their own, losing only marginally. He instilled faith and showed Indian players a glimpse of modern football. Rustam Akramov came to India in 1995. Like Milovan, it is again very difficult to judge Akramov’s true worth as Indian coach if we consider winning a major trophy as a benchmark. Unlike his successor Bob Houghton, who was always were very cautious to give young players a breakthrough, Akramov gave a young teenager from Sikkim direct entry into the starting eleven of India. Akramov helped that boy, Bhaichung Bhutia, to shape up as a striker who used to play as an attacking midfielder at club level. Bhaichung returned the favor by scoring against Uzbekistan during the Nehru Cup. He was the first ever foreign coach to demand an pan-Indian league and 300 professional footballers. His tenure was also short but showed glimpses of hope as he managed to build a team with some talented footballers. In my opinion, the Indian team owed it’s 1997 SAFF Cup title to Akramov who had assembled and worked hard with the likes of Bhaichung, IM Vijayan, Carlton Chapman, Bruno Coutinho, Basudeb Mondal, Aqeel Ansari, and Savio Medeira before leaving the job and Nayeem was handed the job and eventually won the cup. 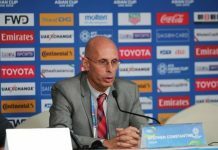 Stephen Constantine, arguably the most qualified coach to manage the Indian national team, came here in 2002. India witnessed many changes in terms of professional training, proper conditioning camps and friendlies during his tenure. Under the Englishman, India won the LG Cup in Vietnam. That was something noteworthy, as we won a trophy outside the Indian subcontinent for the first time since the Asian Games triumph in 1962 in Jakarta. Constantine also guided India to the final of Afro-Asian games. India also played a few friendlies with English clubs and Caribbean sides. Constantine was also very vocal about quality foreigners in the domestic league and tried to implement a similar system with clubs and national team. He picked fresh faces like Abhishek Yadav, Surkumar Singh, Sandip Nandy, Climax Lawrence, Mahesh Gawli, Deepak Mondal, Tomba Singh, James Singh, Renedy Singh, along with Bhaichung and other seniors. These guys later formed the core of Bob Houghton’s team which earned India a place in the AFC Asian Cup after 27 years. But during World Cup qualifying, India lost twice to Japan, conceding 11 goals, and also lost to Oman by a big margin of 1-5. These defeats forced the AIFF to remove him. Stephen was also frustrated with poor professionalism in club football and was vocal about it, but he was successful to instill a self belief among Indian footballers. He also recommended the AIFF to use FIFA approved football similar to Fevernova in the National football league. 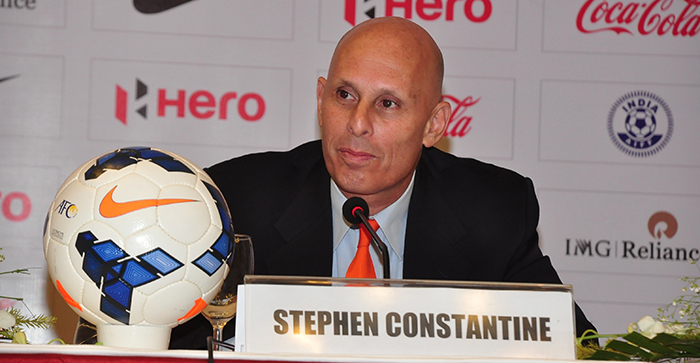 Constantine is the only foreign coach to be re-hired till date, currently serving his second tenure. So far during his second tenure, India has made four international appearances (at the time of publication of this article), with only one win over Nepal at home. In the two World Cup qualifiers against Oman and Guam, India suffered losses while another game against Nepal was a draw. However, Constantine feels this team needs more time and he is building a team for future. 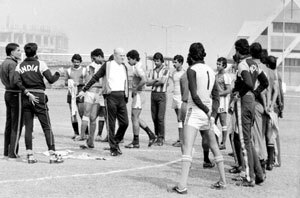 The Indian national team was in its worst ever condition when Bob Houghton arrived in Indian. With 30 years of coaching experience from across the world, Bob had taken Swedish side, Malmo, to the final of the European Cup in 1979, losing 1-0 to Brian Clough’s Nottingham Forest. He also managed the Chinese national team before coming to India. The arrival of Bob Houghton ensured quality foreign camps and the best available amenities for the players. These facilities were not given to Indian footballers in the past. He kept faith on players during bad times too. He always earned respect and love from his players. He also instilled self belief and confidence among all players. Interestingly, few Indian players who retired from international football also came back to play for India during his tenure. 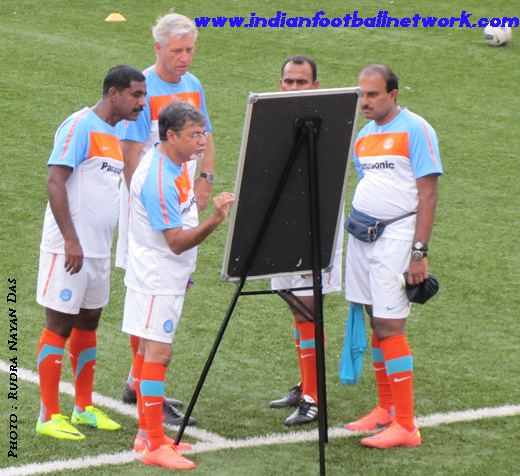 Bob utilized a classic 4-4-2 system for India and it was easy to implement the system as most Indian club played this system or some variation of it. He identified his core team with experienced players like Bhaichung Bhutia, Mahesh Gawli, Deepak Mondal, Climax Lawrence, Renedy Singh, Abhishek Yadav, Mehrajuddin Wadoo, Surkumar Singh, and Sandip Nandy. After a few matches he included Steven Dias, Sunil Chhettri, Subrata Pal, Gouramangi Singh, Anwar Ali, and N.P. Pradeep to the squad. He preferred to play with these players for almost four years and earned significant amount of success. Bob convinced the AIFF to bring opponents of lesser strength to the Nehru Cup. He wanted to build a winning mentality instead of a ‘played well but lost the game’ attitude. He won two Nehru Cups beating stronger Asian opponents. The Nehru Cup level was not the same as it used to be in Milovan or Akramov’s era but Bob was happy that the Indian team started winning and undoubtedly the Nehru Cup’s were tougher than the SAFF Cup. Apart from the SAFF Cup and few invitation-based-competitions, India had not competed in any Asian level competition since 1984 when Milovan took India to the final round of the Asian Cup. There is no doubt that Bob Houghton’s greatest achievement was winning the 2008 AFC Challenge Cup and qualifying for the 2011 Asian Cup. India played against teams such as Tajikistan, Turkmenistan, and Myanmar, winning the cup after a convincing 4-1 victory over Tajikistan. Later in the Asian Cup, India was drawn into a group of death with Australia, South Korea and Bahrain. 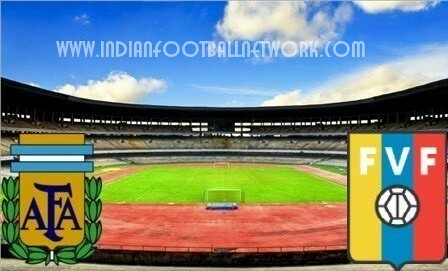 It was not a great display of football by India during the Asian Cup where they lost all the matches. However, most importantly, India had finally played at the biggest stage of the continent again. The major complaint against Bob was that he relied on a fixed set of players; he wasn’t a manager who makes too many changes to his squads. Indian coaches like Nayeem, Subrata Bhattacharya always felt Bob should have considered Alvito D’Cunha, Mehtab Hossein, Lalkamal Bhowmik as their performances in domestic football at that time were fantastic. Furthermore, Bob called up Sushil Kumar Singh for the Asian Cup where they realized, two days before the first game, that Sushil was not eligible to play for two games following a straight red during the AFC Challenge Cup in 2010. 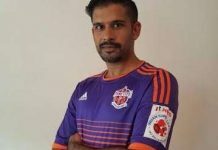 With Bhaichung Bhutia not fully fit, India was suddenly without two strikers and uncapped Mohammed Rafi was finally called to replace Sushil. India also lost to strong opponents in preparatory friendlies before the 2011 Asian Cup by huge margins, including an embarrassing 1-9 defeat against Kuwait. However, Bob Houghton always had a vision for youth development. He introduced Subrata Pal, Sunil Chhetri, and Gouramangi Singh to the national squad without hesitation. 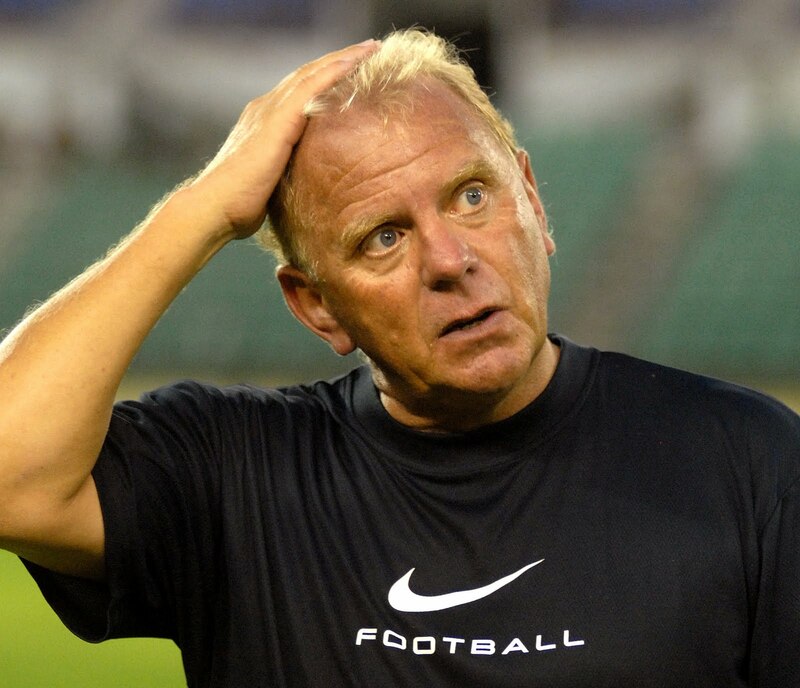 He convinced the AIFF to send the under–23 side to the 2009 edition of the SAFF Cup. India won the tournament in Bangladesh with a squad comprising of Jewel Raja, Arindam Bhattacharya, and Denzil Franco to name a few. 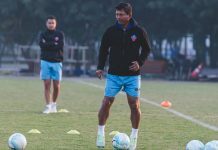 He recommended the AIFF to from an under–23 team without any foreigners in the I-League as these young stars don’t get enough exposure when they sign for any other I-League club. The AIFF formed the team, which was later called Indian Arrows and it immediately produced results as the Indian Olympic side comprising largely of Arrows’ players defeated Myanmar 3-2, on aggregate in the first round. These youngsters again paid gurudakshina to Bob by topping their group in the AFC Challenge Cup qualifiers in 2011. That was his last tournament in charge and unfortunately he resigned after that, in somewhat controversial manner. 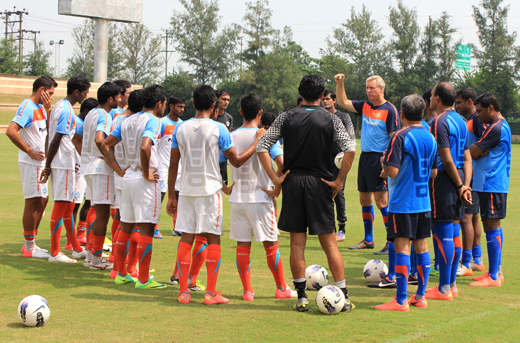 Dutchmen Rob Baan and Wim Koevermans obtained key positions in Indian football as the technical director and national team coach, respectively in 2012. Before them, Armando Colaco and Savio Medeira served as head coaches for brief stints. Armando managed to defeat Qatar in a friendly and earned a draw against UAE during the World Cup qualifiers, whereas Savio Medeira guided India to a SAFF Cup victory. Wim Koevermans was assigned one of the toughest jobs by Rob Baan. He was supposed to introduce possession based passing football tactics to a nation that’d learned football from the British and had a long ball based 4-4-2 system in their DNA. Tactical training at an early age for Indian footballers was very rare. So Wim had to rely on almost same set of players to adopt new system. Koevermans replaced Renedy Singh and Steven Dias, and didn’t ignore Mehtab Hossein, Sanju Pradhan, Robin Singh and gave chance to inform youngsters Jewel Raja, Lenny Rodrigues and Alwyn George. India started well under Wim by winning their third Nehru Cup title. India played decent passing football and defeated a strong Cameroon B team to capture the title in Delhi. However, surprisingly, soon after the Nehru Cup victory, the team started to lose their dominance against weaker opponents. Indian players were never seen comfortable with the new system and frequently lost possession easily. To make things worse, India could not qualify for the main round of the AFC Challenge Cup and they touched a new low by losing to Afghanistan in the SAFF Cup final in 2013. Rob Baan and Wim Koevermans neither succeeded to implement the new system nor carried the momentum forward generated by Bob Houghton. It is still difficult to blame this duo for not being able to implement the new system as Indian players grow up playing in a very different system. One cannot expect the players to show rapid changes in their footballing habit which they have been exposed to from very early age. To do that, we need to train young kids of age 7 – 9 both technically and tactically in a systematic manner. Previous articleCan the New Stars of La Masia Carry the Legacy Forward? Kindly read 1984 instead of 1994 as arrival year of Ciric Milovan and the heavy loss (1 – 9) in friendly was against Kuwet not against Yemen.